Angel Kitty has black, grey, neon pink, pink and iridescent glitters in a translucent violet-shimmered grey base. All nails are 1 coat over 2 coats of Zoya Ling. Donut Hol-O! has silver holographic circles with assorted metallic donuts and silver holographic micro-glitter in a clear base. Shown is 1 coat over 2 coats of Zoya Wendy. Finger Food is a blend of assorted silver, pink, and gold holographic glitters accented with pink jelly glitter in a warm pink-shimmered clear base. Here is 1 coat over 2 coats of Zoya Rooney. Lapin (Lapin is the French word for rabbit) of Luxury is a multi-glitter made with satin, matte, holographic and metallic glitters suspended in a translucent violet base with matching shimmer. 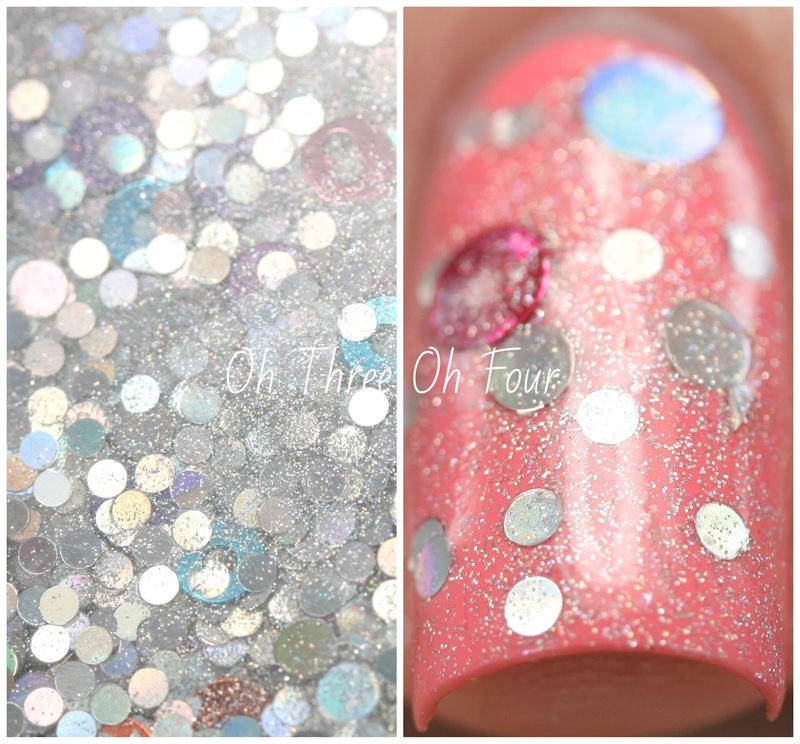 These photos show 2 coats over 3 coats of Zoya Kitridge. Lynnderella limited edition and core lacquers can be found through Lynnderella.com. International readers can find core lacquers from Norway Nails and Glitter Connect. Make sure to follow all the Lynnderella fan pages on Facebook, Twitter, Instagram, Pinterest and Tumblr!